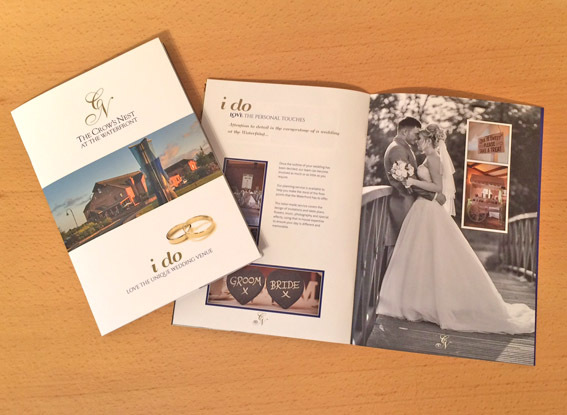 When the Waterfront pub asked us to help develop a 'Weddings' brochure we were delighted to help. The result is this unusually sized booklet style brochure. The cover has capacity and is die cut to allow for a letter and business card to be included. Photography comes form a range of sources, but our favorites are by Lois Webb who did the food shots inside the brochure. The cover has a lovely soft touch laminate which really enhances the feel of the brochure. If your brochure is looking tired or you just fancy a change why not give us a call on 01332 291141 and we can have a chat about how we can help you.